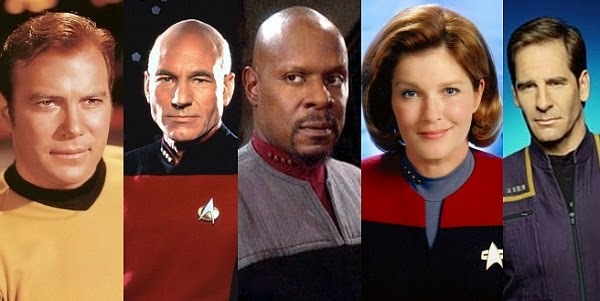 Home / Avery-Brooks / deepspace9 / Patrick-Stewart / Scott-Bakula / Star-Trek-Enterprise / Star-Trek-The-Next-Generation / Star-Trek-Voyager / StarTrek / William-Shatner / Poll: Which is Your Favorite STAR TREK TV Uniform? Poll: Which is Your Favorite STAR TREK TV Uniform? Which is your favorite Star Trek uniform? There have been many Starfleet uniforms over the decades since the first series debuted in 1966. So, which is your favorite uniform from the television shows? Is there a specific season? Which show had your favorite Starfleet uniform? Which is your favorite Starfleet uniform? Which is the worst? Why? The Enterprise jumpsuit. One of the reasons I loved the series so much. I think I'd have to go with DS9's. Namely Dax. Of course Seven of Nine's was hot. I think they all had their unique charm.